In my opinion, in order to make the most of the interpretative techniques of each period, and enjoy them, it is essential to use an appropriate bow. It is not the same thing to play Fontana, Castello or Frescobaldi than Bach; Biber or Schmelzer than Vivaldi; Ortiz than Marais. 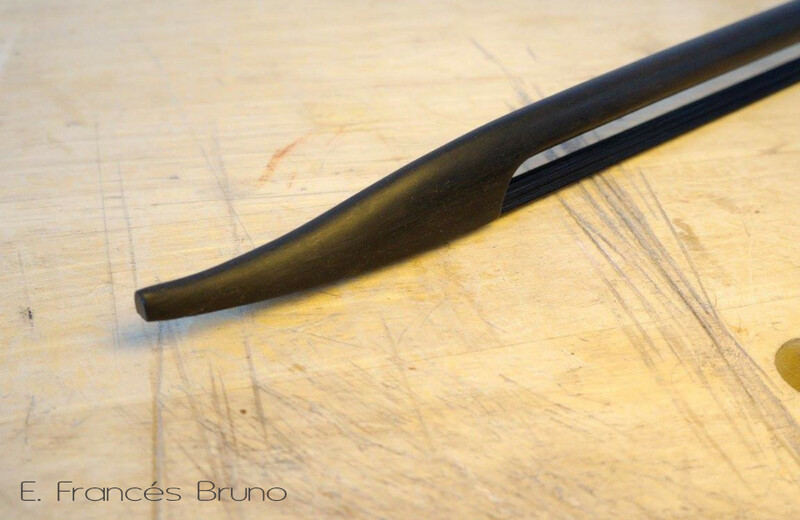 The concept “a bow for everything”, so present today in the world of historical bows, did not convince me. This led me to immerse myself in the investigation of the different types of bow that could be used at each time. The examples that have survived from those times are scarce, so I have sought my inspiration on various treatises of that era (Simpson, Ganassi, Pretorius …) and, above all, on ancient paintings in which the existing instruments and bows were represented. 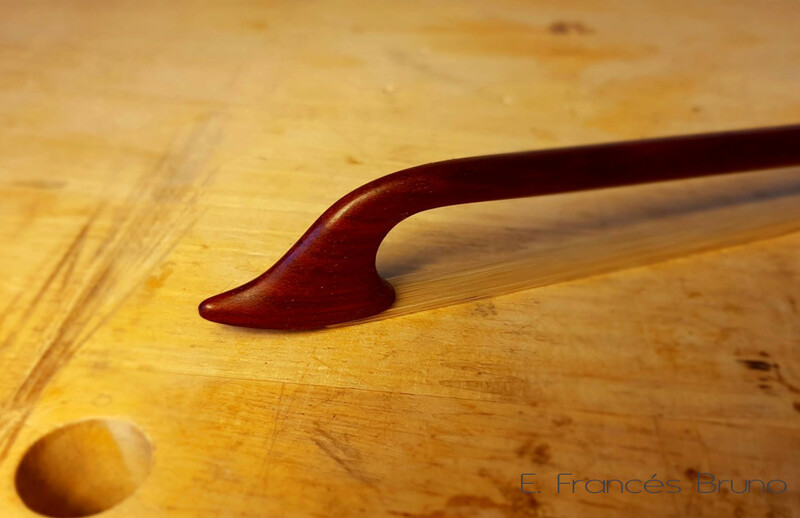 I really love wood, that is why I use many kinds of wood, not only the usual snakewood, but always respecting the appropriate qualities of density and elasticity. 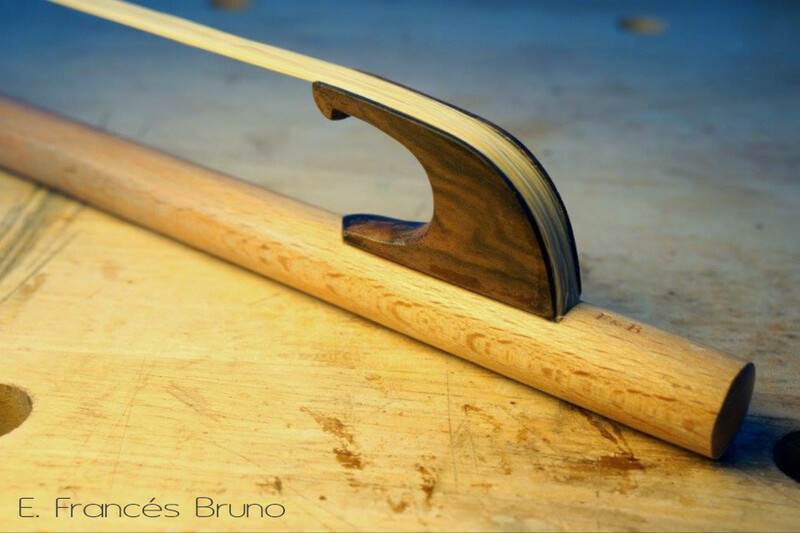 For bows until early 17 century, I use european hard woods, like yew, beech wood, maple and some fruitwood. 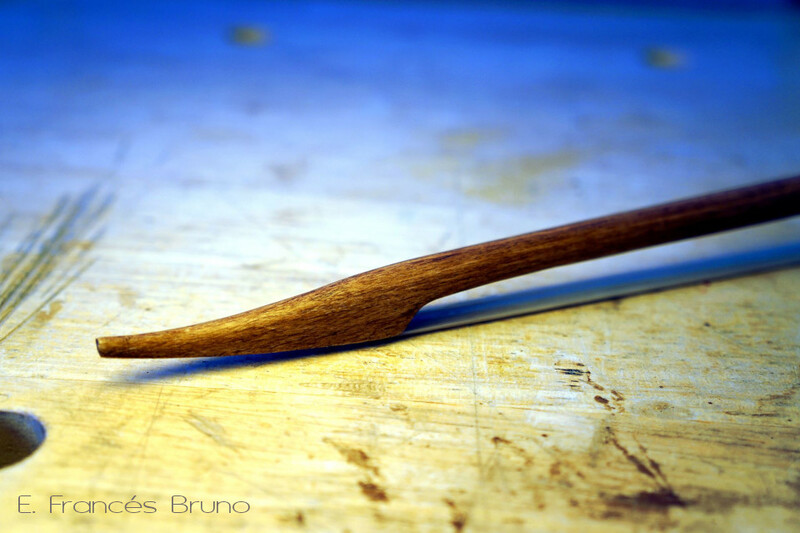 Although tropical wood was already known in the early 1600, it is very probably that bow makers still used local woods. 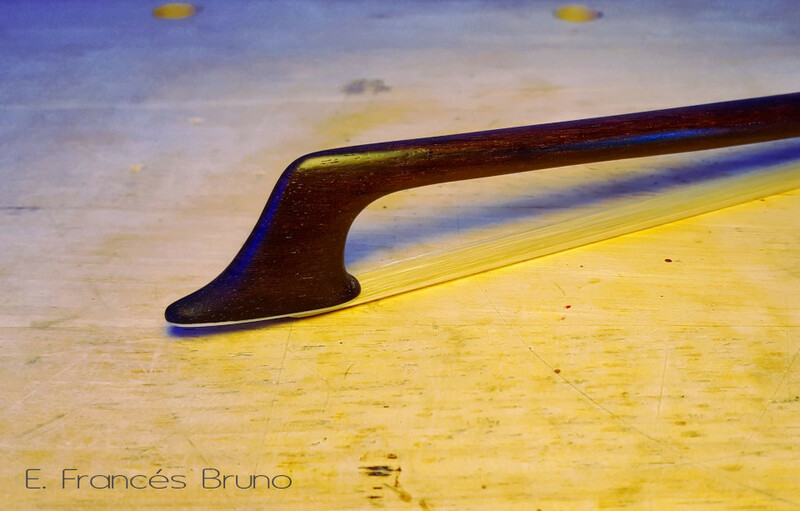 Sometimes I like to brighten up this bows, using some exotic woods to make the frogs. 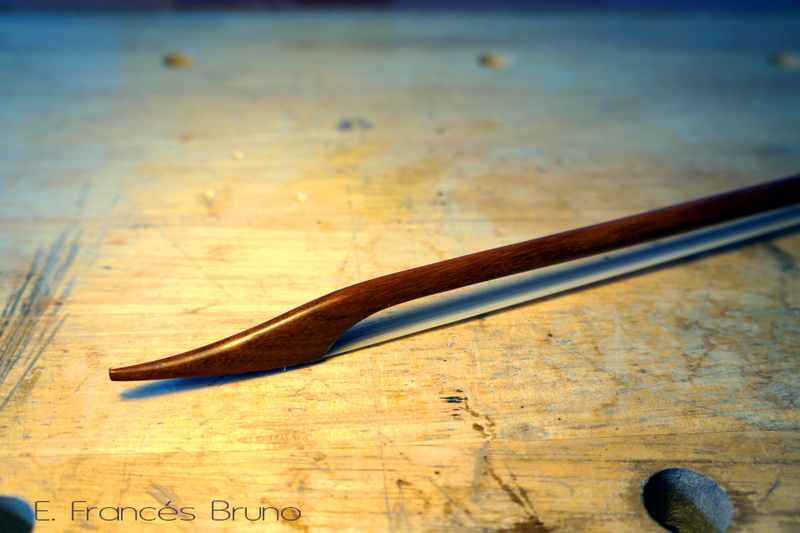 For bows from mid 17 century onwards, I use tropical woods like snakewood, ironwood, bloodwood or pernambuco, that is known were used. 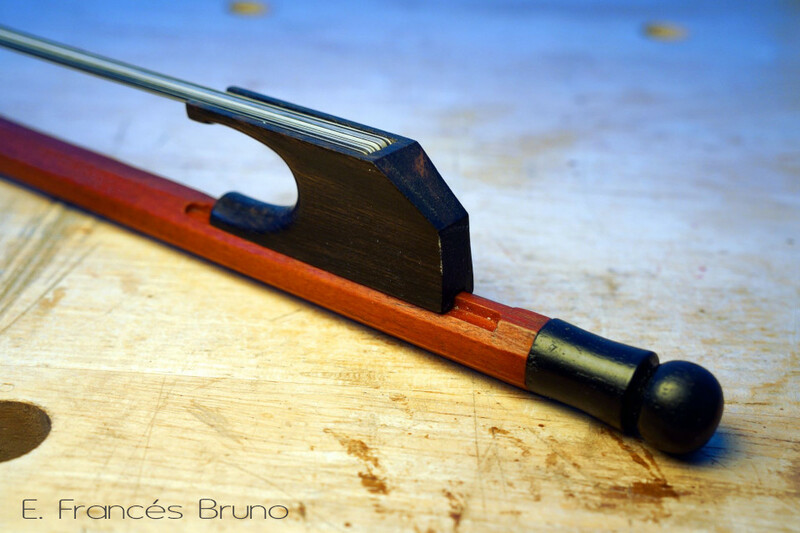 Baroque violin bow ca. 1600. Own design inspired by the painting “Still-Life with a Violinist” by Master Of the Acquavella Still-Life. 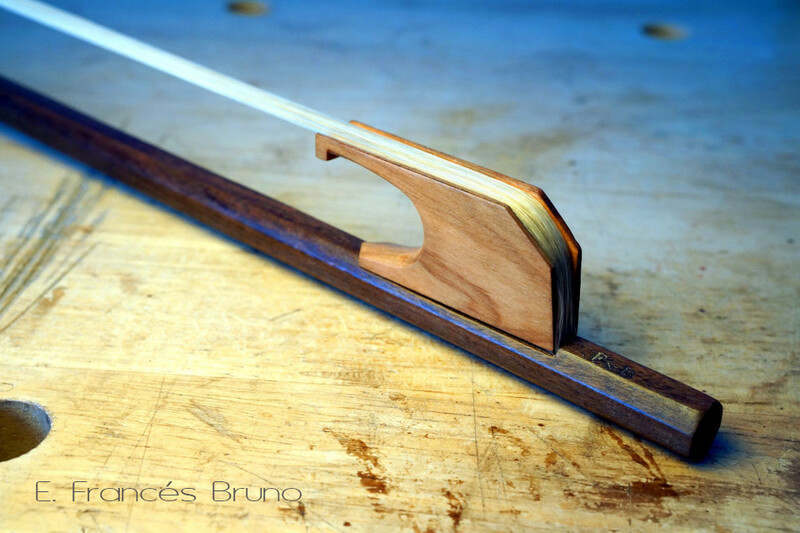 Baroque violin bow ca. 1620. 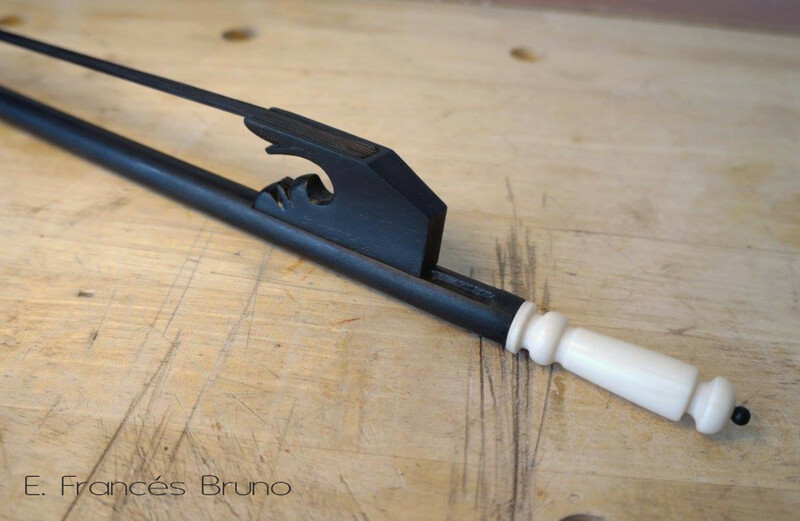 Own design inspired by Orazio Gentileschi’s painting “Young woman playing a violin”. 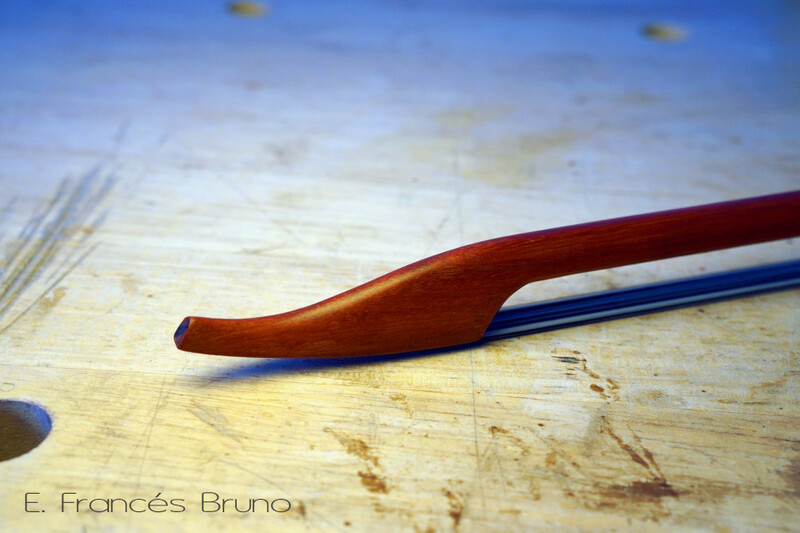 Baroque violin bow ca. 1665. Own design inspired by the bows that appear in the painting “The Cabal Ministry” by Jean Baptiste Medina. 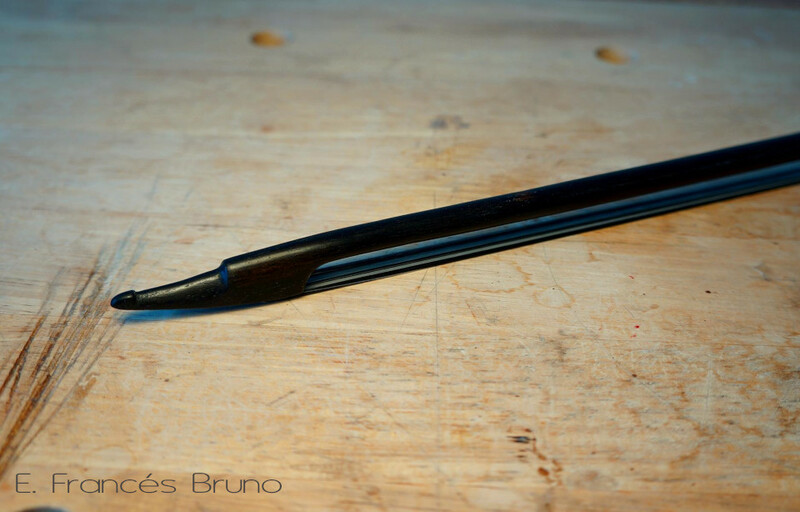 Baroque violin bow "Long sonata"
Baroque violin bow, early 18th century. 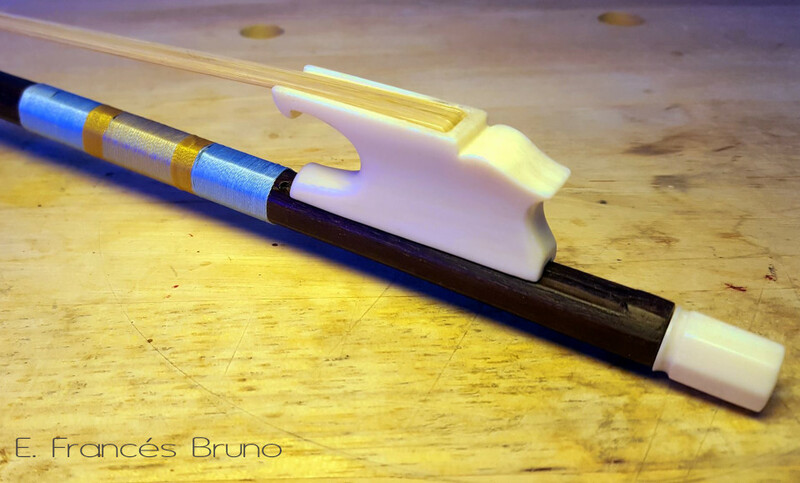 Own design in the “long sonata bow” style. 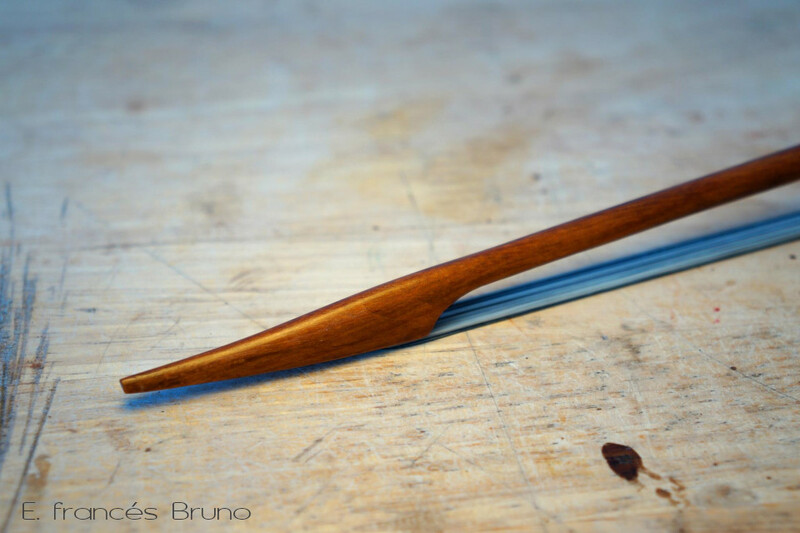 Classical violin bow "Edward Dodd"
Baroque viola bow ca. 1714, after an original bow by Kaspar Staedler. 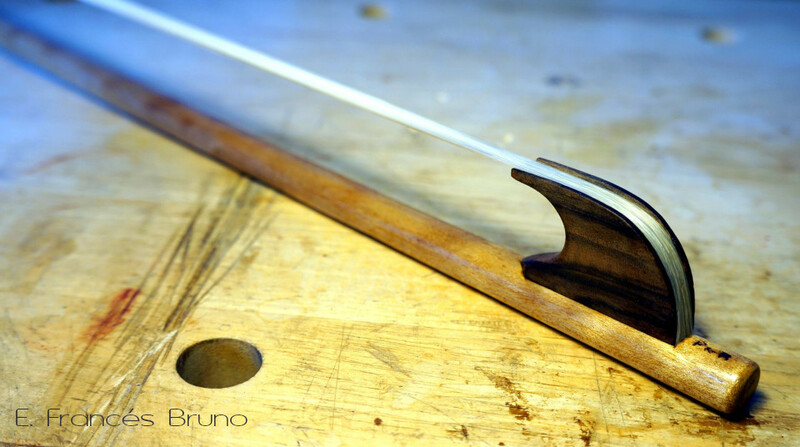 Baroque viola bow "Late model"
Baroque viola bow, early 18th century model. Own design . Classical viola bow "John Dodd"
Classical viola bow after an original bow by John Dodd , late 18th century, that is in the Birmingham Conservatoire’s Historical Instrument Collection. Cramer style head. 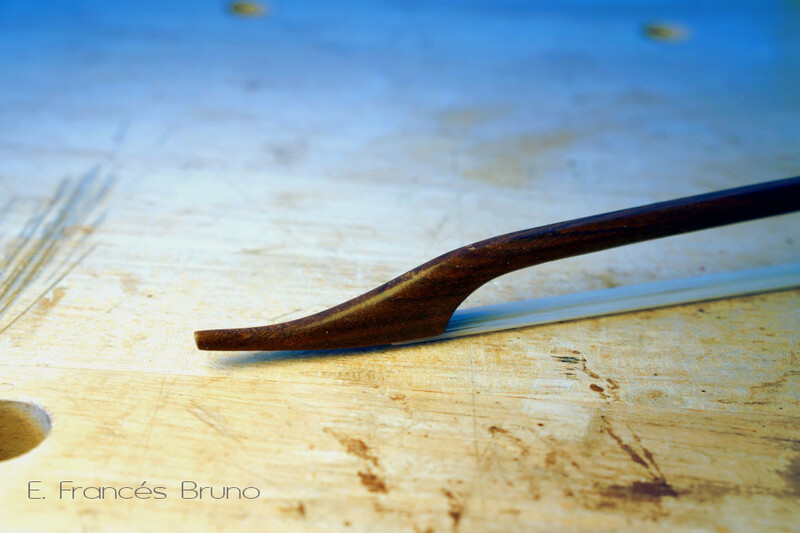 Pau d’arco stick and olive wood frog and button. French silk winding. 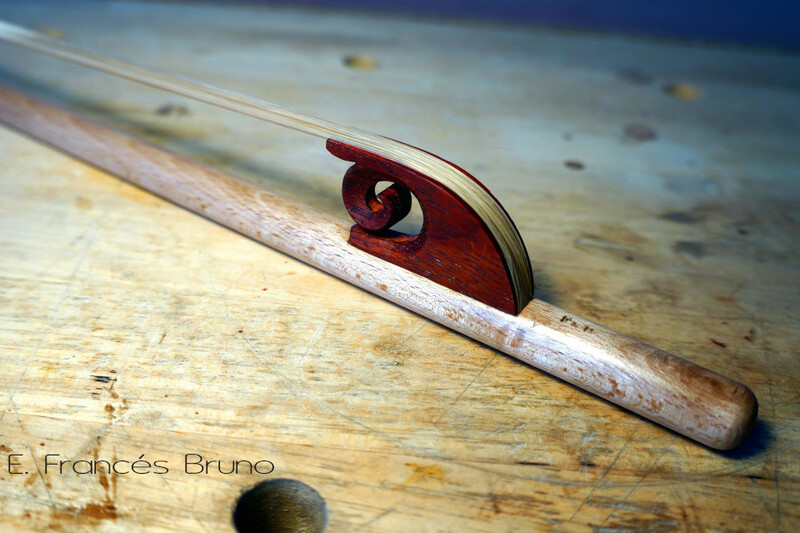 Baroque cello bow, early 18th century model. 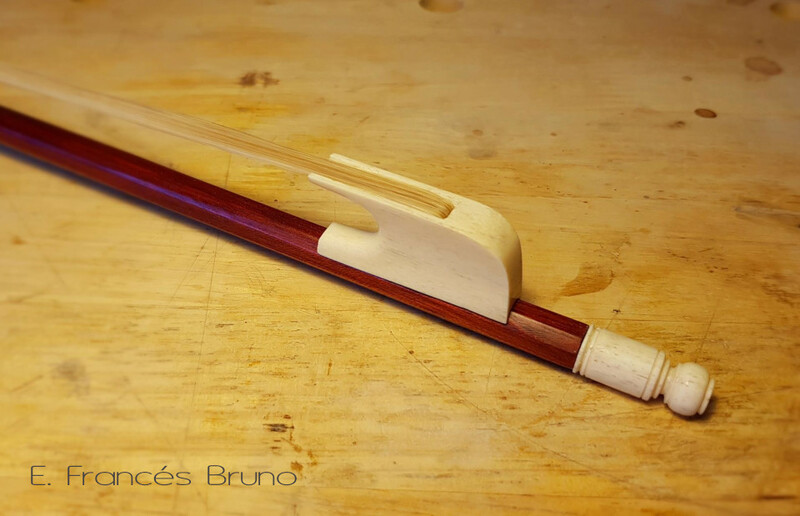 Own model specially designed for continuo playing. 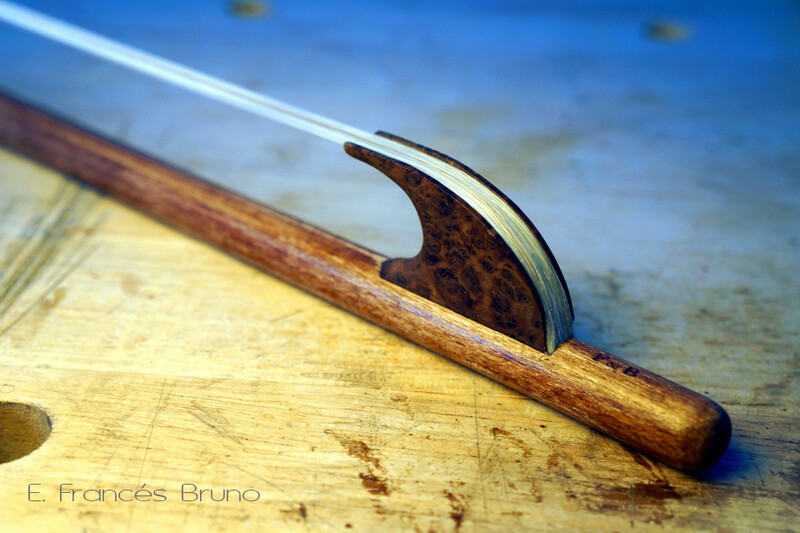 Classical cello bow "John Dodd"
Classical cello bow after an original bow possibly by John Dodd ca. 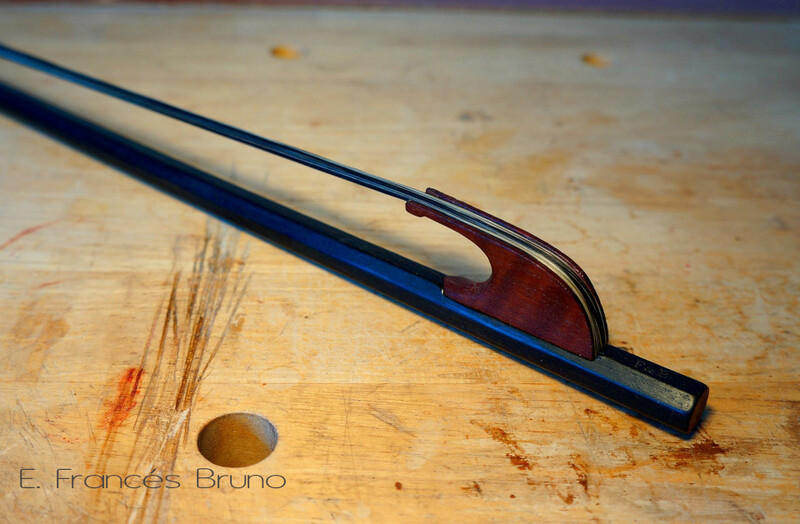 1780, that is in the Birmingham Conservatoire’s Historical Instrument Collection. 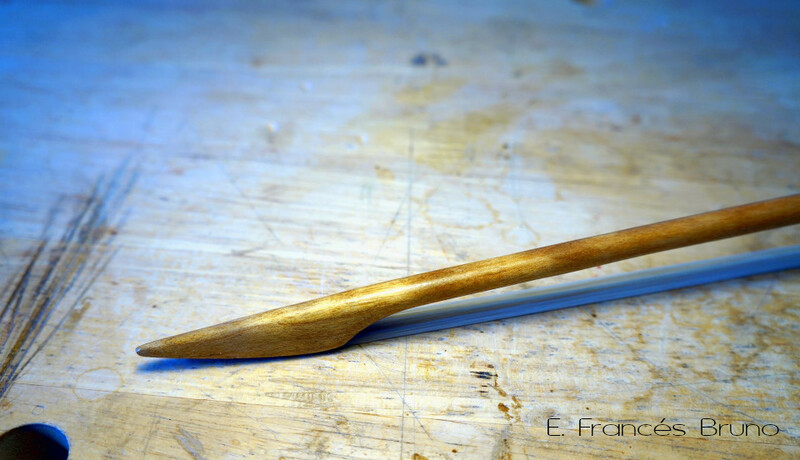 Ironwood stick and mammoth ivory frog and button. French silk winding. 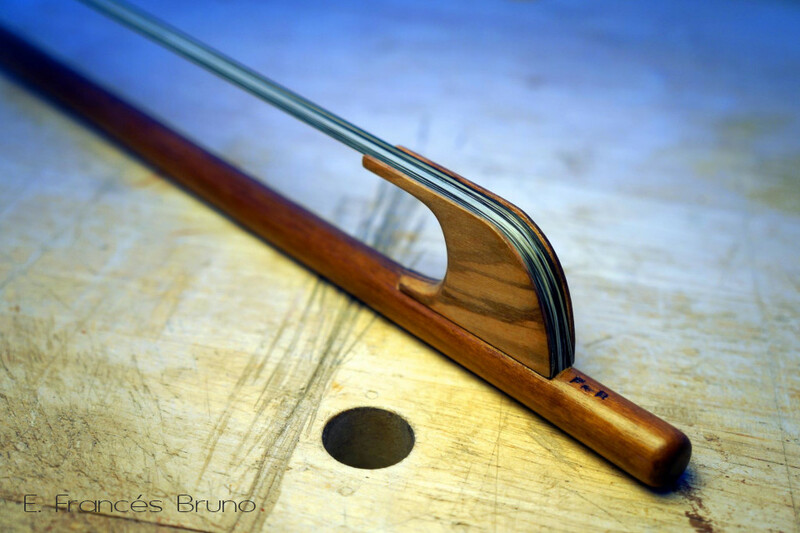 Renaissance bass viol bow "Bologna"
Renaissance bass viol bow. 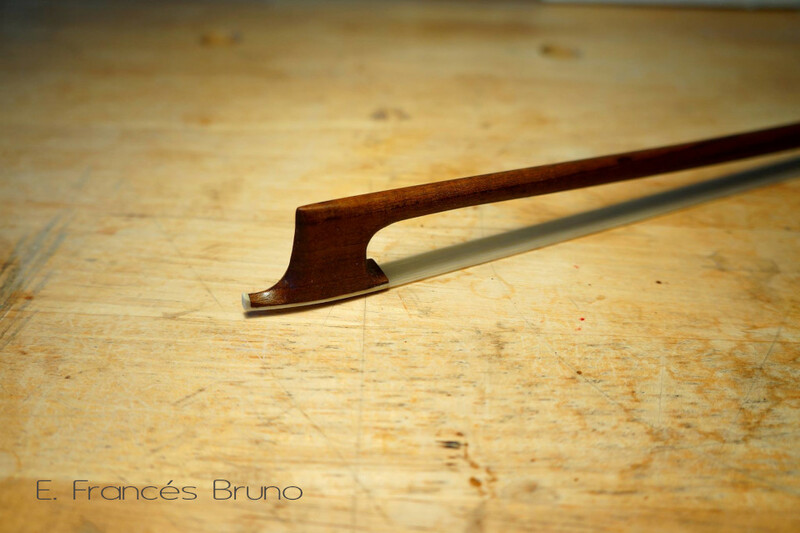 Own model inspired by an original bow that belongs to Accademia Filarmonica di Bologna since 1608. 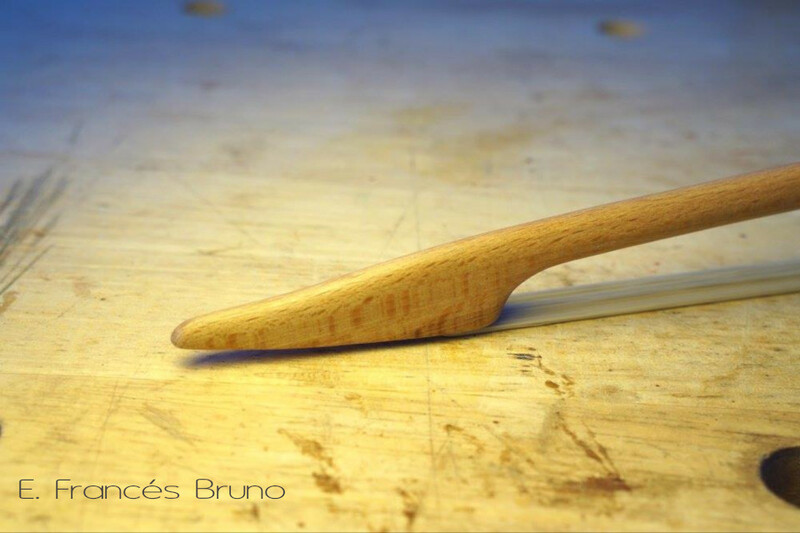 Beech wood stick and walnut clip-in frog. 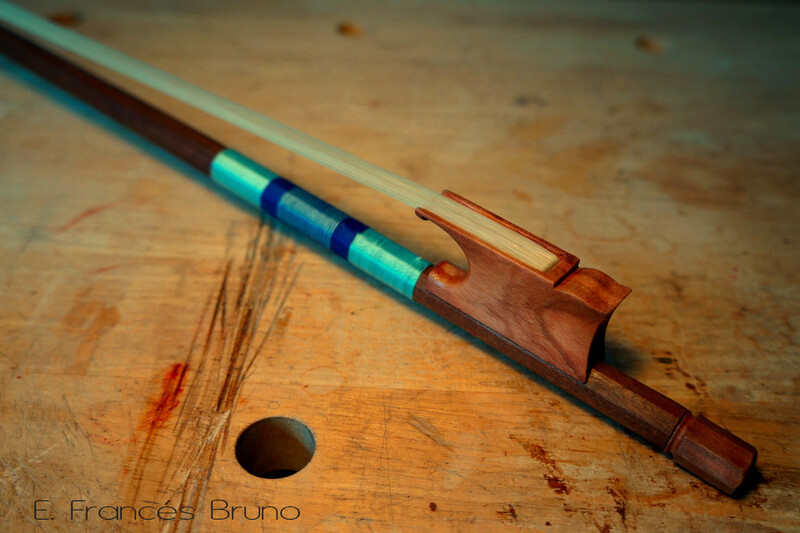 Renaissance bass viol bow "Veronese"
Renaissance bass viol bow. Own design inspired by the bows that appear in the painting “The Wedding Fest at Cana” by Veronese. Beech wood stick and redwood clip-in frog. 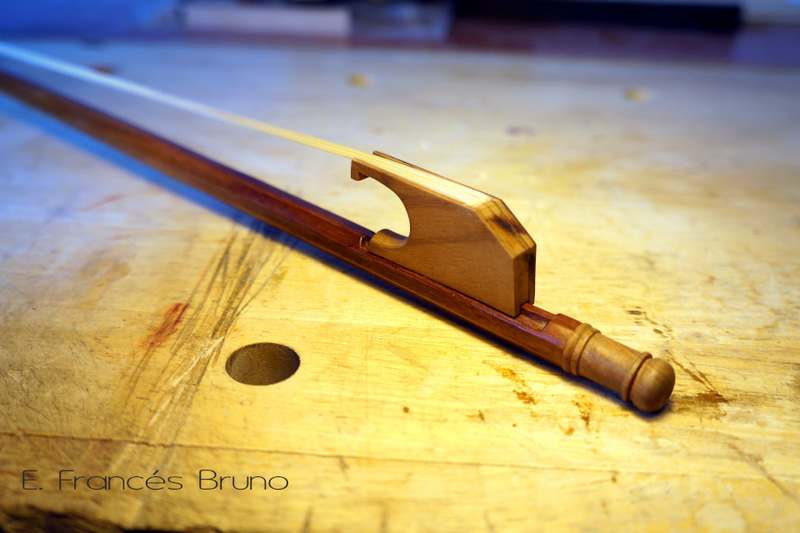 Bass viol bow in french style. Own design. 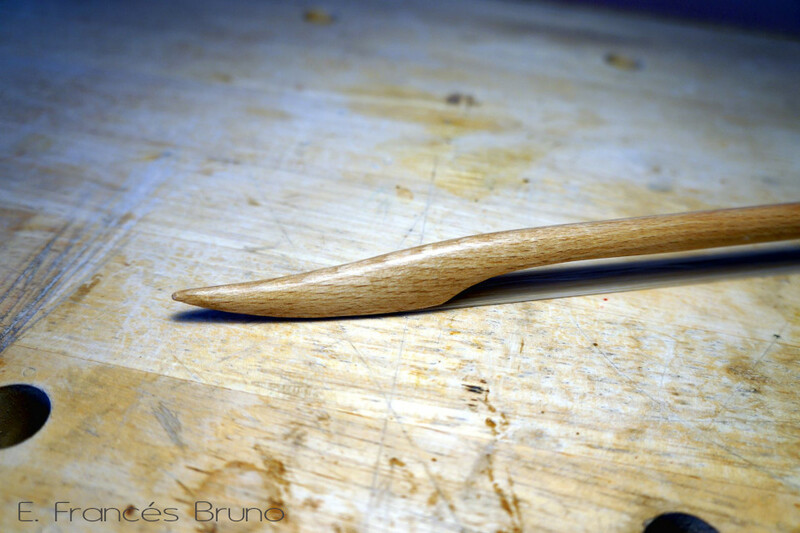 Ebony stick and frog, bone button.